The objective of the Statutory Audit is to ensure that the financial statements of the Company are a true reflection of business performance and free of material misstatements, inaccuracies, errors and discrepancies. Our professional approach that requires attention-to-detail, backed by our systems and processes ensures a highly dependable and transparent Audit of the financial statements. It is also a reliable testimony that the financials were prepared scrupulously and in accordance with the international Financial Reporting Standards (IFRS). 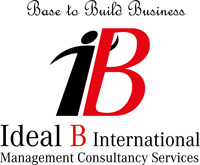 We also do special audits pertaining to Corporate Restructuring, Mergers and Liquidation. Internal Audit is primarily directed towards improving internal control. It serves as a catalyst for improving an organization’s efficiency by providing insights and recommendations based on analysis and assessment of data and business processes. Our Internal Audit services provide expedient and effective solutions to strengthen internal control, and proper risk management. By advising and helping in the development of Internal Audit function and risk management methodologies including the evaluation of ongoing deliveries to the shareholders. By supporting the Internal Audit function through proper training of internal auditors utilizing our experience and industry knowledge to develop highly tailored solutions. By devising Internal Audit sourcing solutions, including the full outsourcing or complementing in-house functions with highly specialized skills.